​The General Manager of SuperSport West Africa, Felix Awogu, has disclosed that Nigeria may lose up to N50 billion in revenue following Super Eagles’ failure to qualify for the 2017 African Nations Cup to be held in Gabon. Awogu, who spoke with journalists in Lagos yesterday, also hinted that SuperSport was preparing a team of experts for quality coverage of the fast approaching Rio Olympics Games. The Super Eagles, led by coach Samson Siasia, failed to book a ticket for the 2017 AFCON, thereby denying Nigerians the opportunity of watching their team in the championship. It was Nigeria’s failure to qualify for the competition for a second time in a row. The Eagles, under the late coach Stephen Keshi had also lost out in the race to Equatorial Guinea 2015. Awogu said that Eagles’ failure to appear in Gabon 2017 would not only take the glamour off the championship, but will also take a toll on so many businesses back home in Nigeria. “In the first place, the championship will not be exciting to many Nigerian viewers because of the absence of the Super Eagles. A lot of people will lose out in the economic aspect of it. The bars will be empty and I can say roughly N50 billion will be lost due to Eagles’ non-participation. That is why every Nigerian must rally round the NFF and the Super Eagles so that the team picks the ticket to 2018 World Cup in Russia,” Awogu stated. On coverage of the Rio Olympics Games, Awogu said Supersport has prepared a team of experts to deliver the best coverage of events to Nigerians, adding that his company was mindful of the zika virus in Brazil. On Team Nigeria’s chances in Rio, Awogu said: “A lot of people have said Nigeria failed at London 2012 Olympics and nothing good will come out from our athletes in Rio. I don’t see it from that angle. To me, we did not fail in London. Some of our athletes actually made it to the semifinals in their respective events in London. Awogu also spoke on DSTV sponsorship of Nigerian basketball league, partnership with the League Management Company (LMC) on the local league and the revival of Nigerian boxing by GOtv. 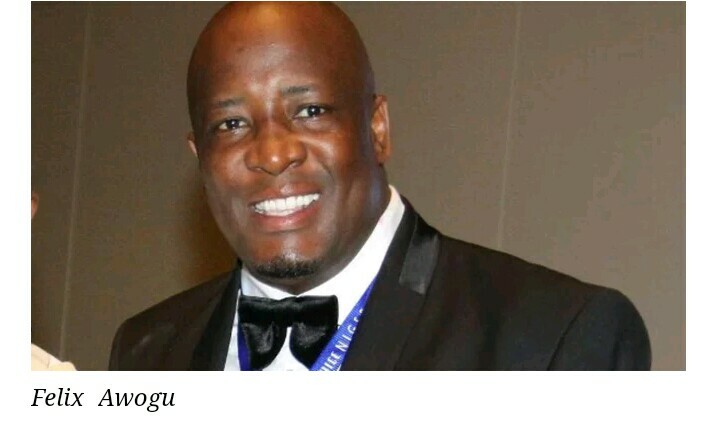 “We have been sponsoring the basketball league for five years now and we are happy because it has opened the doors for some Nigerian players to feature in the NBA in the United States. “The revival of boxing by GOtv has also brought a turn around into the game and some of our boxers are already being invited to USA for fights. Look at what we are doing in the NPFL league. Now that four major roads have been opened to Maiduguri, we will look at possible ways of bringing to Nigerians live matches involving El-Kanemi FC. But we will take our Let’s Play team to Maiduguri first for the people to be part of the programme,” Awogu stated. On French coach, Paul Le Guen, who just rejected the Super Eagles’ coaching job, Awogu said the situation does not call for shifting of blames. “We are partners with the NFF and I will be in Abuja tomorrow (today) to discuss a possible way of getting a good coach for the team. We can’t afford to miss out of Russia 2018 World Cup. 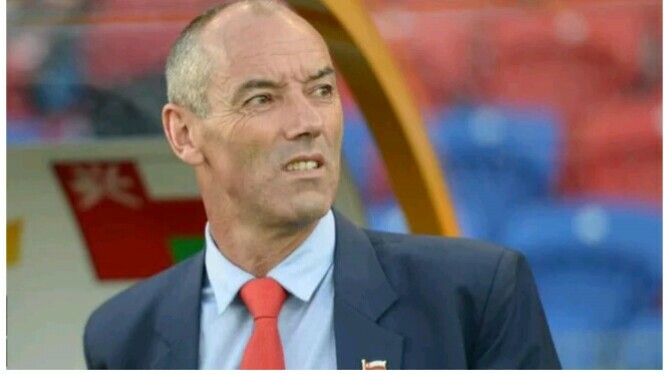 French man, Paul Le Guen may have rejected his appointment as the technical adviser for Nigeria’s Super Eagles, less than 24 hours after the Nigeria Football Federation appointed him. Herve Penot, a reporter with French sports daily, L’Equipe, said on Twitter that the Nigeria Football Federation has not met the demands set by Le Guen for him to accept his appointment. “Paul Le Guen will not go to Nigeria.Requirements not met to be coach. Nothing to do today with the selection,” Penot tweeted. The NFF, on Monday, announced the appointment of Frenchman Paul Le Guen as the new technical adviser of the Super Eagles while the caretaker coach of the team, Salisu Yusuf, was named the chief coach. “The appointments are subject to an agreement of contract terms with the NFF Executive Committee,” the federation said in a statement. However, Oluwanashina Okeleji, a Nigerian sports journalist with the BBC said Le Guen was never interested in the Super Eagles job. 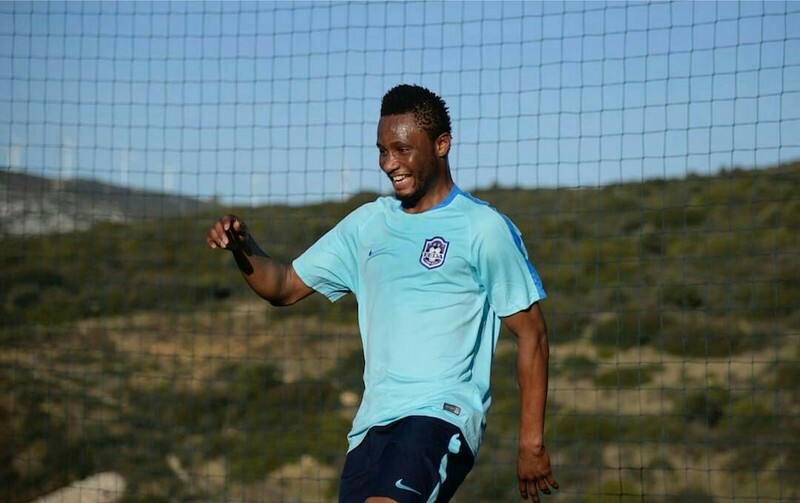 “Apparently, the Frenchman had a chat with Nigeria FA boss Pinnick and told the latter that he wasn’t interested in the job,” Okeleji tweeted. 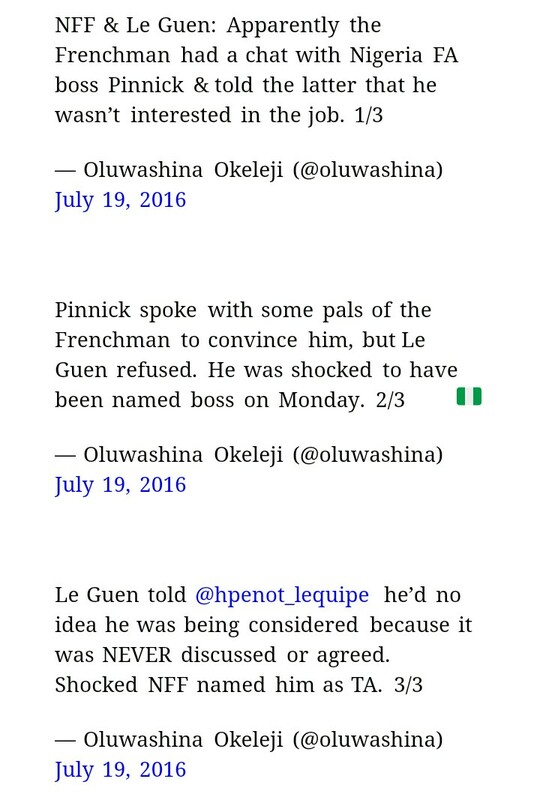 “Pinnick spoke with some pals of the Frenchman to convince him, but Le Guen refused. He was shocked to have been named Nigeria’s boss on Monday. 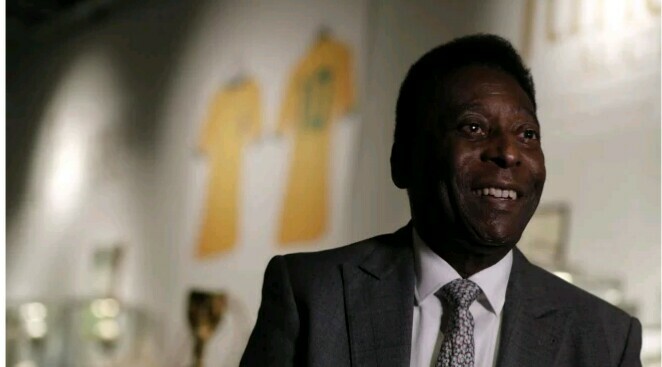 The Brazilian football legend Pele has released a song celebrating the impending Summer Games in Rio de Janeiro, the first Olympics ever in South America. The Olympics open August 5. Pele, who is 75 and was married for the third time last weekend, is no stranger to the world of music, having recorded as long ago as 1960. In 2006, he even released an album (“Pele Ginga”) in collaboration with the famed Brazilian singer/songwriter Gilberto Gil. With a dazzling record, including scoring 1,218 goals in 1,363 matches (77 in 91 matches with Brazil’s national team), Edson Arantes do Nascimento — Pele’s birth name — is the only player in history to play on three World Cup- winning teams (1958, 1962 and 1970) and is considered one of the best players of all time. In 1999, the International Olympic Committee called him one of the best athletes of the 20th century, and a year later FIFA, football’s international governing body, honored him as player of the century. 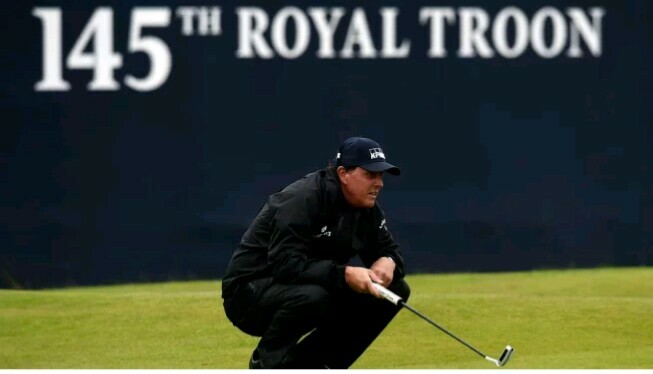 ​American Phil Mickelson will defend a one-stroke lead in the British Open when he begins his third round at Royal Troon later on Saturday. The left-hander shot a 69 on Friday in wet and windy weather to sit at 10 under par and lead the championship by a single shot from Sweden’s Henrik Stenson. Mickelson is looking to win the Open for the second time following his victory at Muirfield, on the other side of Scotland, in 2013. He built on his major championship record-equalling low round of 63 on Thursday with a solid showing in far less favourable conditions on Friday. Stenson, meanwhile, shot the best round of the day on Friday with a 65 and that duo will go out last on Saturday, teeing off at 3:20pm local time (1420 GMT). Just before them, American former PGA champion Keegan Bradley and Denmark’s Soren Kjeldsen will play together, with the pair sitting joint-third on seven-under for the championship. Reigning champion Zach Johnson of the United States sits at five-under, and all those going out later on Saturday will hope the wind has died down to some extent by then. The Open has so far seen a gloriously sunny day on Thursday followed by often brutal conditions for the second round. It is expected to stay dry but overcast on Saturday, but winds are expected to gust at upto 30 miles per hour (48km/h) throughout the day. As a result, organisers confirmed they had decided not to cut or roll the greens and said that certain pins and tees were being adjusted. The first player to tee off on Saturday morning was South Africa’s Haydn Porteous, who just made the cut at four over par. He went out on his own and had an eventful front nine, with four birdies as well as a bogey four at the short eighth hole. Among the other players out on the course early on Saturday were Bubba Watson, Masters champion Danny Willett and Jordan Spieth, who all only narrowly made it through to the weekend.